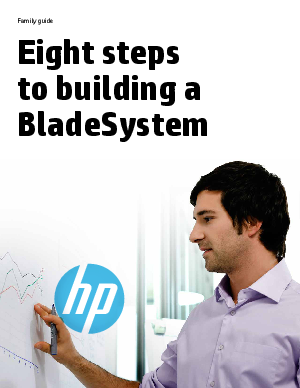 With an unprecedented set of smart innovations, HP BladeSystem—including the new HP ProLiant Gen8 server family—provides the foundation of a self-aware and intelligent converged infrastructure. We’re talking about a cloud-ready infrastructure that can support all your applications on a single platform, with both ProLiant and Integrity server blades and a range of storage and networking options. Architected for any workload from client to cloud, its modular, future-proof design takes advantage of proven innovations like Virtual Connect, Intelligent Infrastructure, and Insight Management. And it can be quickly scaled, repurposed, and upgraded to fit your changing business needs.